Now the coffee lovers can enjoy their daily coffee cups with the amazing healthy properties of Hemp seeds, getting in more unmistakable taste and aroma of the Italian slow roasted premium coffee blend. Known as inventors of awarded and patented products as Fitness Coffee®, we offer now to our beloved fans our last creation: Cannabissimo Coffee®. Our studies and research during 8 months let us to get an innovative and healthy product for all coffee lovers, with in more the unquestionable and healing properties of hemp proteins (Cannabis Sativa seeds). No other protein ingredient contains so much essential amino acids that notoriously help to strengthen the defenses of our body. 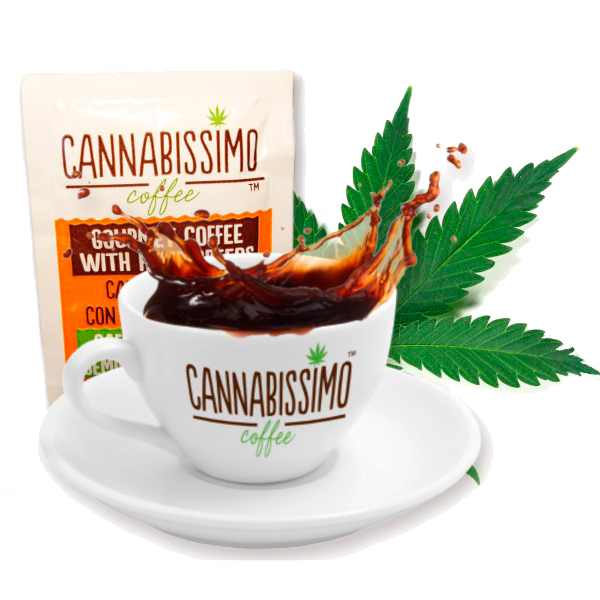 Cannabissimo coffee® how it’s written on its front label, is 100% natural and legal. Its content of THC is irrelevant according to European laws as shown by the manufacturer’s certifications. for the ever young people. properties of hemp proteins (Cannabis Sativa seeds*). Cannabissimo Coffee is the result of our proprietary manufacturing process, which allows to maintain all precious substances contained in the Cannabis Sativa seeds. With this process they have not to be burned, not losing in this way any of its nutritional and beneficial properties. Hemp seeds are a great source of antioxidants, fiber, omega 3 and 6 fatty acids, and ALL essential amino acids, even those who the body cannot create itself. Cannabis seeds also contain vitamins and other nutritional elements. So it’s an ideal source of oligo elements not only for vegans but also for all ever young people. Now Cannabissimo Coffee with hemp flowers rich in CBD that is well known by scientific community for it’s salutary properties. CBD combats inflammatory and pain-related disorders, combats anxiety and depression disorders, provides antioxidants, helps improve your mood and energy. Cannabissimo is immediately fresh packed after the manufacturing process. 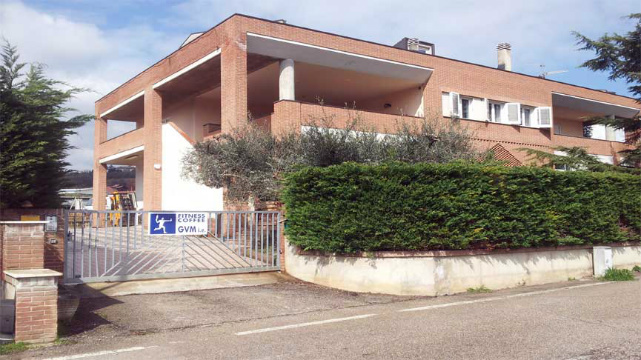 This is allowed by the use of a special degassing valve provided by leader company Goglio®. In more, in order to preserve its intense precious aroma and taste during all the shelf life (24 months) we pack it with protective atmosphere (MAP). Standard packed in triple foil bags: 250 g (8.8 oz), but at request we can pack also in ESE espresso pods, FAP capsules and even in capsules compatible for every Espresso machines (please ask to your supplier for the compatibility of your machine). It can be prepared in the same way of your daily cups of coffee: Espresso, stovetop “Moka”, drip filter coffee , Turkish style (requesting extra fine ground), French press, stovetop “Napoletana”, boiled, as well as cappuccino, latte, iced on the rocks and as other ways according to your taste and experience. Hemp seeds are a gift of nature and are considered one of the world’s most nutritious ingredient. CANNABISSIMO COFFEE® is safe and legal for the THC content, which content is completely in accordance with Italian and European laws and rules (conformity certificate, further certifications can be available if requested). CANNABISSIMO COFFEE® It can be drunk every day throughout the life of the ever young people because 100% safe, natural and vegetal. Warning: as any coffee it contains caffeine, however Cannabissimo contains 20 % less caffeine than a normal Arabica coffee and a 40% less compared to a Robusta coffee. The caffeine content varies depending on the method of preparation (visit our page for caffeine content of many beverages). Fitness Coffee GVM i.e. with the new 2014 celebrates 12 years of productive and creative activity in the field of hot beverages as coffee, tea and barley, both healthy and traditional. Our registered trade marks are known in many countries all over the world. From first patent application in 2014 to last launch of Cannabissimo Coffee we have ran a long way working hardly but ever with great passion and sincere respect for the human values. During this year we’ll launch other innovative beverages, stay in tune.